I hope your weekend thus far is going well. Thanks again for stopping by. 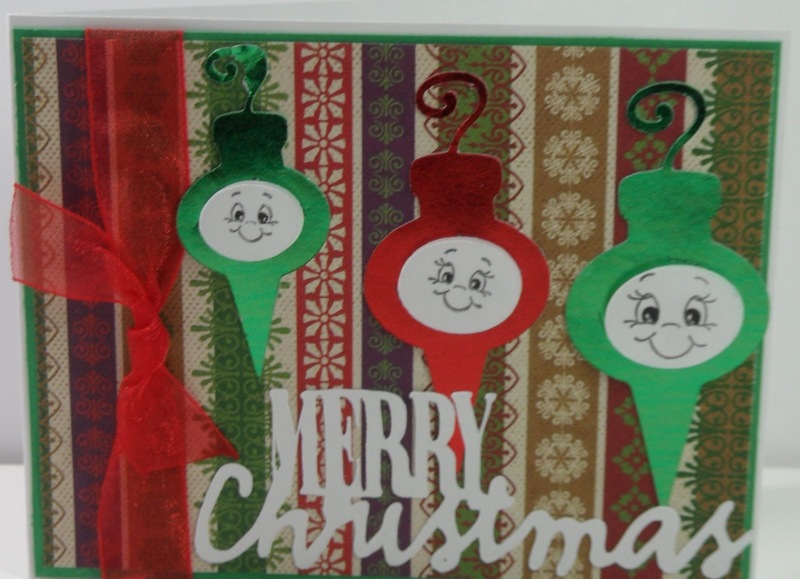 I really like the little faces on this card. What do you think? Comments are welcome. Enjoy and GOD Bless. I am entering this card in the following challenge. Adorable! Those faces make me smile! Nice card. I love the ornaments. What did you use for your "Merry Christmas". love the happy ornaments.too cute. Those facial stamps always put a smile on my face. Super Cute! That is a great project! Super cute! I love the stamps and your color choice! How cute is this!?! Thanks so much for stopping by my blog and leaving such a nice comment! I really appreciate it! :) Hugs! Super cute card. Thanks for stopping by and leaving a comment on my card. Wow... this is super cute! I love the little faces :).